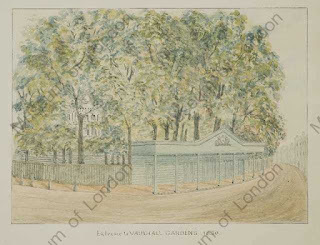 It's a pleasure to welcome Nicole Clarkston, who is our guide to a jaunt around Vauxhall Gardens! I cannot think of a more fitting way to close out the London Holiday blog tour than by visiting Madame Gilflurt to chat about the attractions available to the Regency reveler at Vauxhall Gardens. 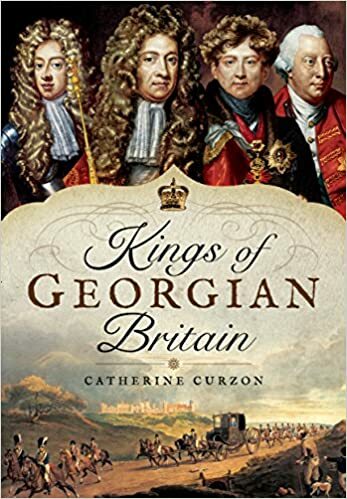 Although my lovely hostess has likely forgotten more about London History than I will ever learn, I shall endeavour to bring you some of the most exciting tidbits turned up by my research. An evening at Vauxhall really got underway at about seven o’clock. However, advertisements from the era indicate that the gates were open well before that for those who wanted to claim early seats, or just to enjoy the scenery. By the early nineteenth century, visitors could now arrive by road via the Westminster Bridge and the Kennington Lane entrance, but those desiring the full experience (and willing to pay for it) would charter a boat to take them across the river. The Vauxhall Bridge, which provided the most direct access to the Gardens, was not opened until 1816. 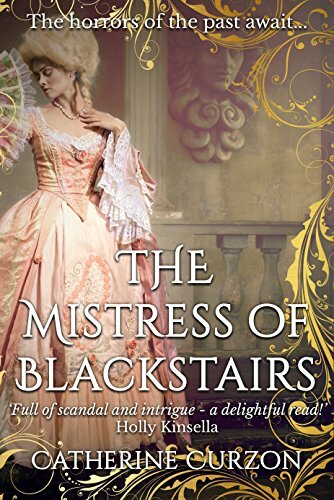 The first thing that Darcy and Elizabeth would have experienced, stepping off the boat, would have been the Vauxhall Stairs leading up from the river. At the top, they would have seen rows of houses nearest the river, and then a lane leading them to the grand entrance, guarded by a colonnade. Beyond the entrance, visitors would have taken one of the covered walks around the main Grove, which housed the Orchestra building. The Orchestra itself, as well as the surrounding trees, would have been decorated with colourful glass lanterns which lit up the evening. Paintings and sketches of this structure abound, indicating what a popular image this was in the public consciousness of the day. The Orchestra was tiered and octagonal in shape, permitting as many people as possible to gather around to see and hear the musicians and singers within. With the Orchestra on their right, visitors would have also seen the Rotunda Theatre immediately to their left. This was a grand music room where visitors could enjoy indoor performances or dances. Just beyond this, still on the visitors’ left, would have been one of the clusters of supper boxes. The other cluster was on the opposite side of the Grove. The design of the supper boxes was perfectly ingenious. They were dished in shape, providing more space for more boxes, yet also creating a courtyard of sorts where visitors could gather and look toward the Orchestra’s entertainment. Here, too, we get a little glimpse of the character of the man behind the design, Jonathan Tyers. If you were thinking that Vauxhall was a success simply because it was an exciting gathering place you would only be partly correct. There was depth to it, too, and the atmosphere was carefully crafted to lend its visitors a sense they could experience nowhere else. Tyers believed that people from all classes could gather in an egalitarian, genteel manner, regardless of their background. He wished for his guests to behave in a moral way, but, as you can imagine, crowds not accustomed to his ideas might not have cherished them at first. So, it was with his décor that Tyers attempted to sway the masses. One example of this balance he struck was the statues at the opposite supper boxes. One side hosted an homage to Comus, the Greek god of revelry, debauchery, and chaos. On the other side could be seen a statue of Handel, whose musical career was inextricably bound to Vauxhall Gardens. 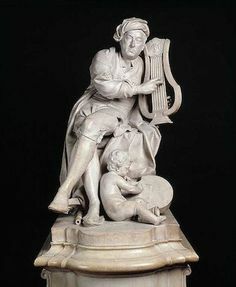 Much as we moderns could see a picture of Audrey Hepburn in a restaurant and understand the intrinsic reference to screen idol’s vintage grace and class, Vauxhall’s visitors would have associated Handel’s pastoral statue with restraint, morals, and civility. Another example of Tyers’ efforts to “civilise” his visitors was the row of arches along the Italian Walk, which culminated in a classic painting of the ancient ruins at Palmyra. They were so well done, apparently, that guests would claim they looked realistic. 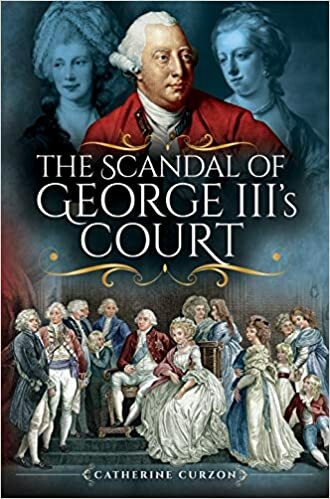 Vauxhall, in its best years, was known as a place where true family friendly entertainment could be found, apart from the crueler sports and rougher entertainments offered elsewhere in London. This was a terrific draw for women, who often swayed their men to choose Vauxhall over another locale. Of course, the venue also offered pure, lighthearted revelry. Aside from the music, dancing, balloons, and fireworks (which would have been sufficient to draw the crowds), Vauxhall offered acrobats, tight-rope walkers, equestrian stunts, and a “Hermit” who supposedly told fortunes. These kept guests from growing bored (read: unruly) between their meal and the next song, and they proved stiff competition for other venues, such as Astley’s Amphitheatre. The sights were also unique to Vauxhall; unique Rococo architecture, cleverly situated art, and even a taste of the Orient in some places lent Vauxhall an air all its own. 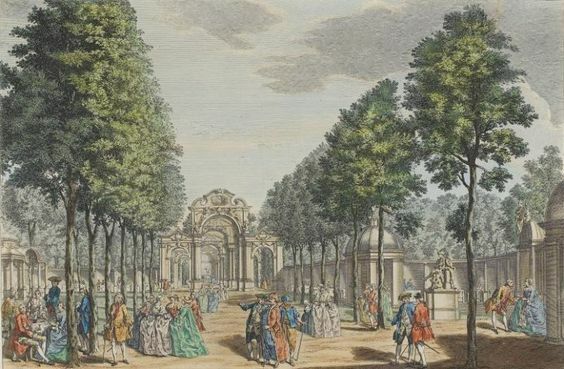 Visitors could wander round to the fountains, relax in the supper boxes, dance, drink themselves silly, and check up on the latest fashions in music and attire. Indeed, some garments were designed specifically so they would look dazzling under the nocturnal lanterns at Vauxhall’s Grove. The Cascades were decorated by artwork and artificial scenery to make them look more realistic. At the time of Elizabeth and Darcy’s visit in 1811, they would have been designed to look like a mill race. This was, arguably, the most popular attraction at Vauxhall for many years, simply because of its aura of mystique and the fact that there was nothing else like it anywhere. As magnificent as all these attractions were, they were not the primary reason that some of Vauxhall’s guests kept coming back. Bordering the Gardens were the infamous Dark Walks, which were, by Darcy and Elizabeth’s time, lit, but apparently not well. The abundance of nature provided plenty of privacy for those wishing to explore a different sort of delight altogether, and Vauxhall became as well known for its prostitutes as for its fireworks. The egalitarian atmosphere permitted venturesome guests to meet people they could never meet anywhere else. The proper rules of introductions were somewhat ignored, and a nobleman could speak to a tradesman without censure. 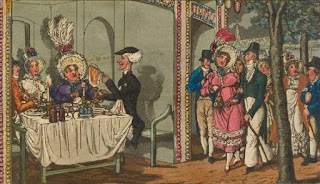 The relaxing of social mores in regards to class and gender meant that a young lady could easily make the acquaintance of a gent her parents might not approve of. Additionally, the crowds, the dark serpentine walks, and the abundance of noise and distractions, meant that almost anything could happen. And it did. 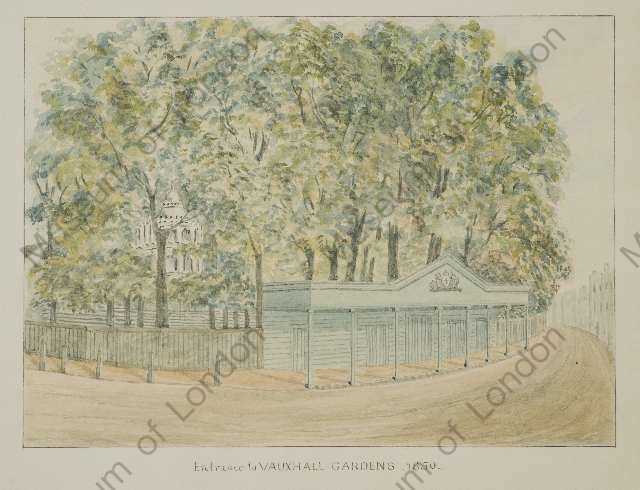 Regardless of whatever shady doings might be going on in the dark, Vauxhall remained a popular destination for tourists and families, the extravagant and the simple, for over two hundred years. It was so much more even than I have room to describe here. It truly was a unique place, and one that can never be recreated, for even if we rebuilt Vauxhall to its original glory, the culture and times would lose something in the translation. The best we can do is to lose ourselves in a fictional account, and hope it is close. Knowles, Rachel. “The Cascade at Vauxhall Gardens.” Regency History, 13 Oct. 2015, www.regencyhistory.net/2015/10/the-cascade-at-vauxhall-gardens.html. “Vauxhall Gardens.” Wikipedia, Wikimedia Foundation, 14 June 2018, en.wikipedia.org/wiki/Vauxhall_Gardens. “Vauxhall Bridge.” Vauxhall History, 24 Feb. 2016, vauxhallhistory.org/vauxhall-bridge/. Grant, Tony. 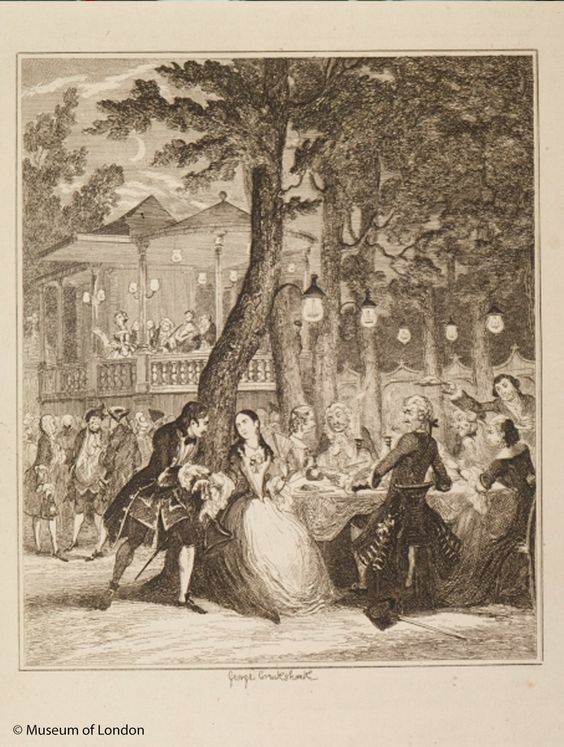 “A Visit to Vauxhall Gardens by Tony Grant.” Jane Austen's World, 18 Feb. 2012, janeaustensworld.wordpress.com/2012/02/16/a-visit-to-vauxhall-gardens-by-tony-grant/. Kristen Koster. 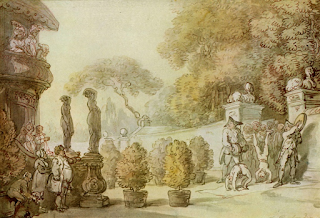 “A Regency Primer on Vauxhall Gardens.” Kristen Koster, 25 Apr. 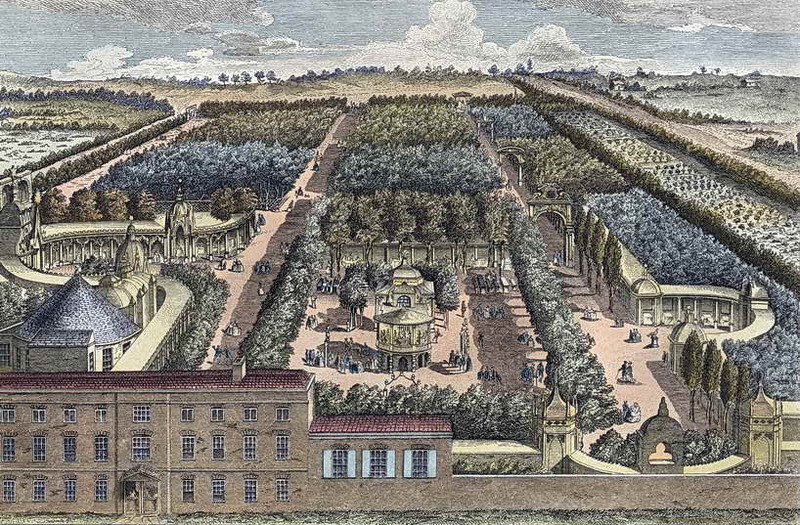 2017, www.kristenkoster.com/a-regency-primer-on-vauxhall-gardens/. 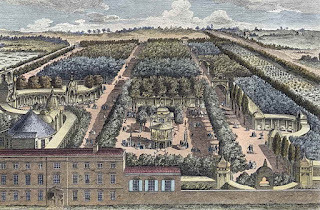 “Vauxhall Gardens.” Vauxhall Gardens, www.vauxhallgardens.com/vauxhall_gardens_briefhistory_page.html. When the truth is harder to believe than disguise. Drugged and betrayed in his own household, Fitzwilliam Darcy makes his escape from a forged compromise that would see him unhappily wed. 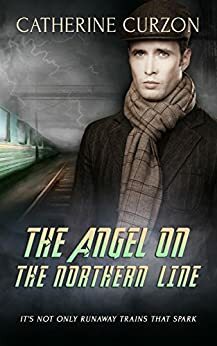 Dressed as a footman, he is welcomed into one of London’s unknown neighbourhoods by a young lady who is running out of time and running for her life. Deciding to hide in plain sight, Miss Elizabeth Bennet dodges the expectation to marry the man of her mother’s dreams. 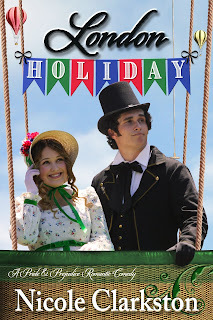 When the insolent footman she “found” refuses to leave her side until they can uncover a solution to their respective dilemmas, the two new acquaintances treat themselves to a holiday, experiencing the best of what Regency England has to offer. Based on Jane Austen’s Pride & Prejudice, can two hard-headed characters with kind hearts discover the truth behind the disguise? Enjoy the banter, humour, and growing affection as Mr Darcy and Miss Elizabeth have the best day of their lives, and discover that they just might find love and romance while on a London Holiday. This book is appropriate for all ages. Nicole Clarkston is a book lover and a happily married mom of three. Originally from Idaho, she now lives in Oregon with her own romantic hero, several horses, and one very fat dog. 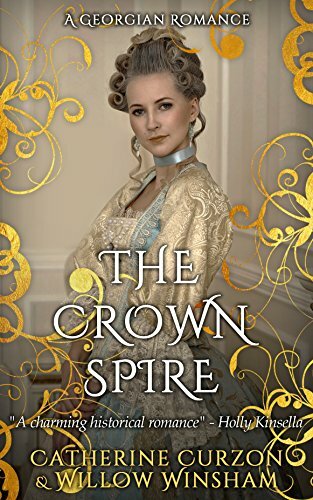 She has loved crafting alternate stories and sequels since she was a child watching Disney’s Robin Hood, and she is never found sitting quietly without a book of some sort. Nicole discovered Jane Austen rather by guilt in her early thirties―how does any book worm really live that long without a little P&P? She has never looked back. 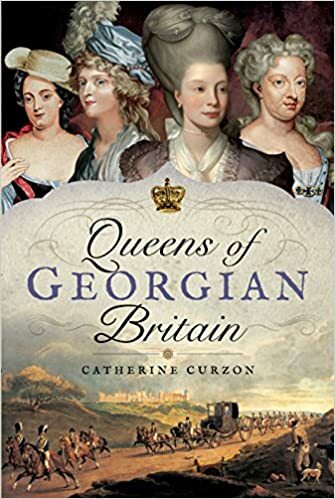 A year or so later, during a major house renovation project, she discovered Elizabeth Gaskell and fell completely in love. 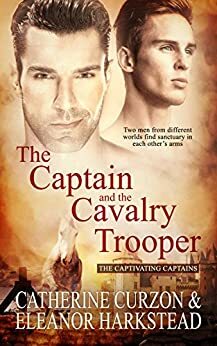 Her need for more time with these characters led her to simultaneously write Rumours & Recklessness, a P&P inspired novel, and No Such Thing as Luck, a N&S inspired novel. 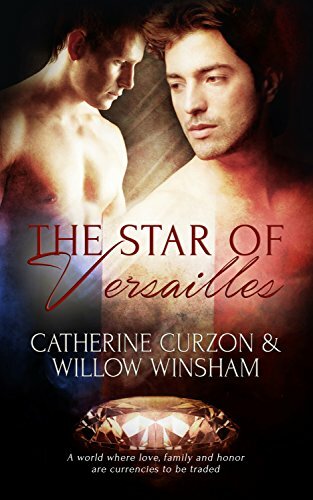 The success she had with her first attempt at writing led her to write four other novels that are her pitiful homage to two authors who have so deeply inspired her. Nicole contributes to Austenvariations.com, a group of talented authors in the Jane Austen Fiction genre. In addition to her work with the Austen Variations blog, Nicole can be reached through Facebook at http://fb.me/NicoleClarkstonAuthor, Twitter @N_Clarkston, her blog atGoodreads.com, or her personal blog and website, NicoleClarkson.com. What a lovely and detailed description of Vauxhall Gardens. How interesting that the "Cascades" have no existing image left. I'm full of nostalgia and wish for a time travel possibility... the closest to which is, I gather, a book like Nicole's. 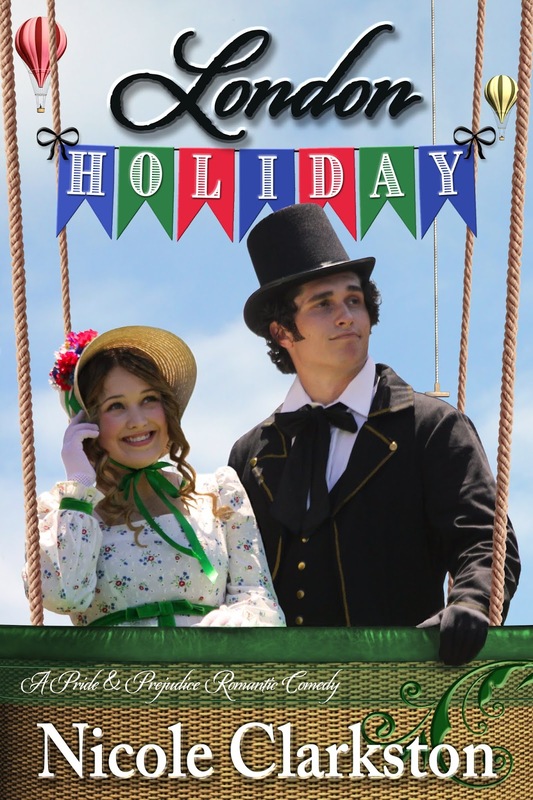 I hope to experience the delights through Darcy and ELizbath's eyes! Thank you! Thank you for this informative post about Vauxhall Gardens. It does sound like it would be such a fascinating place to visit. Even now, though it may not receive the same adoration that it did then, I believe it would still be quite a draw. Especially in such a large city as London, who wouldn't want to stroll amongst a garden? One reason why I'd never make it as a writer (apart from a decided lack of talent) is that I'd be forever getting stuck down research rabbit holes. This would be one such for me, I think. Thanks for saving us all from that fate by taking one for the team, so to speak, Nicole! It's hard to envisage the modern-day equivalents, such as theme parks, lasting for a couple of centuries, isn't it? 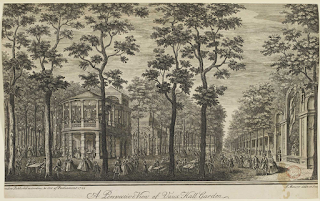 I would have love for Vauxhall Gardens to still exist today because there are an abundance of attractions that I would like to see. I cannot imagine what the 'Cascades' look like though we are given descriptions of it. Perhaps someone has sketched it but this drawing/painting is in some forgotten journal or diary waiting to be discovered. 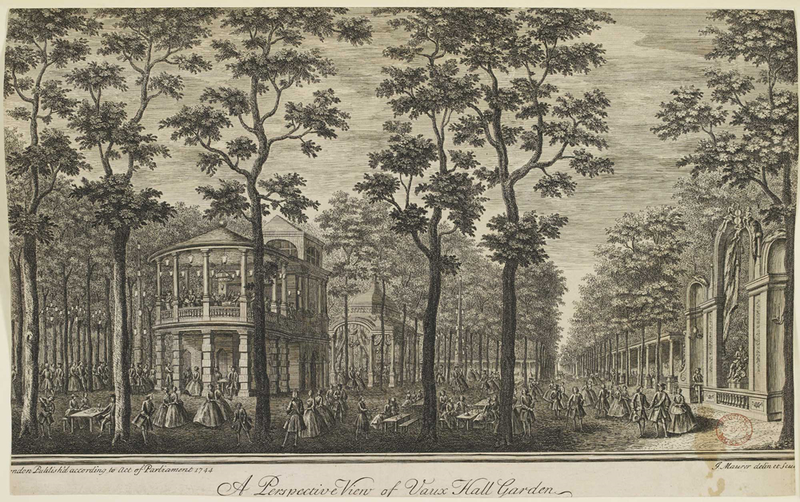 Wouldn't have been a great time and quite the event to have gone to Vauxhall Gardens? I would have been fascinated! Thanks for all your research and for making it come alive for us, Nicole. Thanks for hosting, Catherine. It would be so cool to visit these historical places as they once were. At least we have pictures. Thanks for the fine post.